Pictured below are several of my recent charters featuring clients that I have know and fished with on a regular basis for many years. Jeremy and Lori Peterson’s family of Stillwater, MN are pictured together after enjoying a full day on the water. 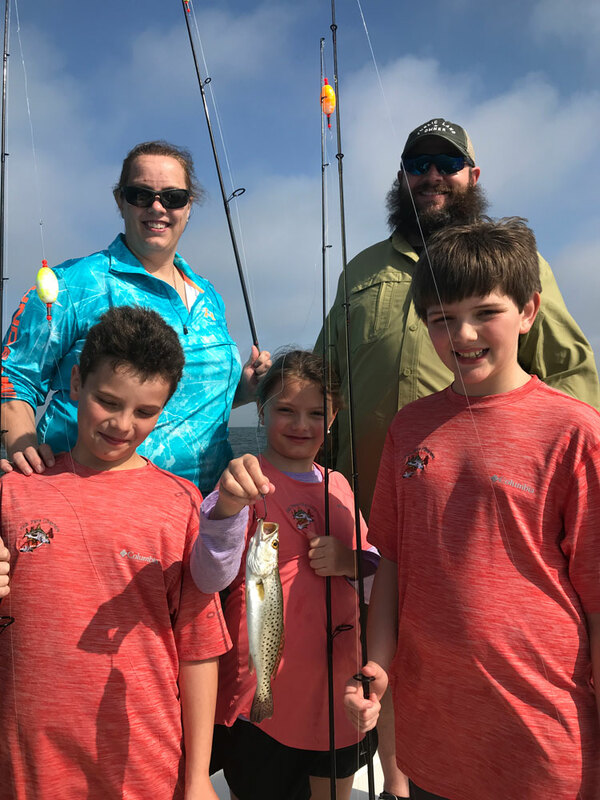 This family is a fishing machine. Non-stop action from the time they board Fish Face II. 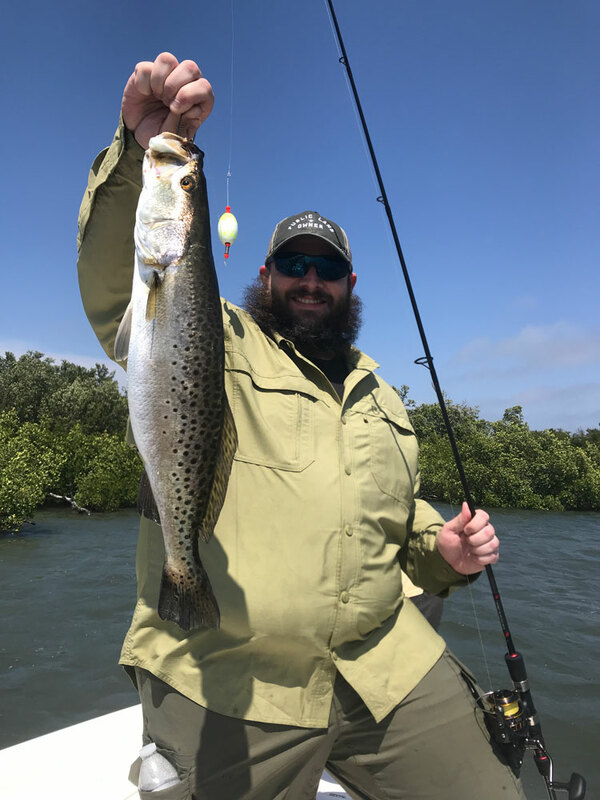 Jeremy is pictured with a 24” Seatrout caught along the mangroves. DJ (12 yrs.) 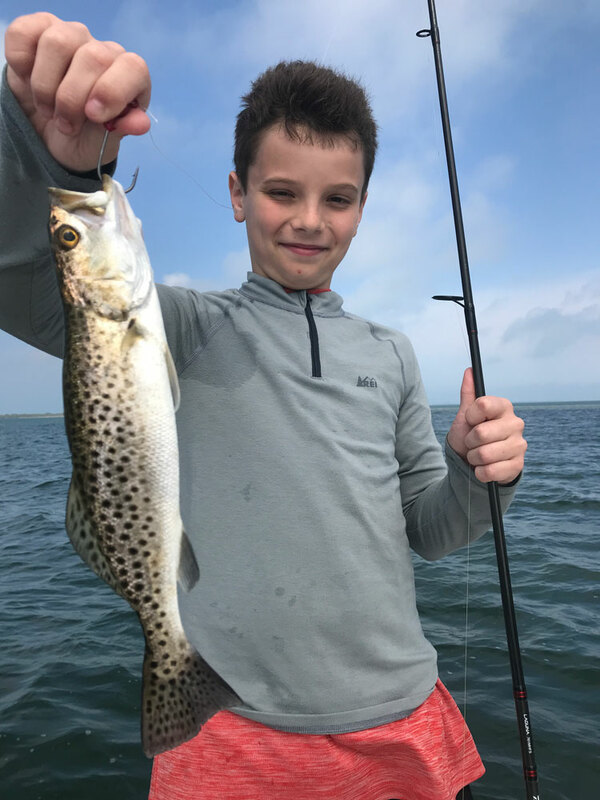 is pictured with one of many Seatrout he caught. His brother Robbie (11 yrs. 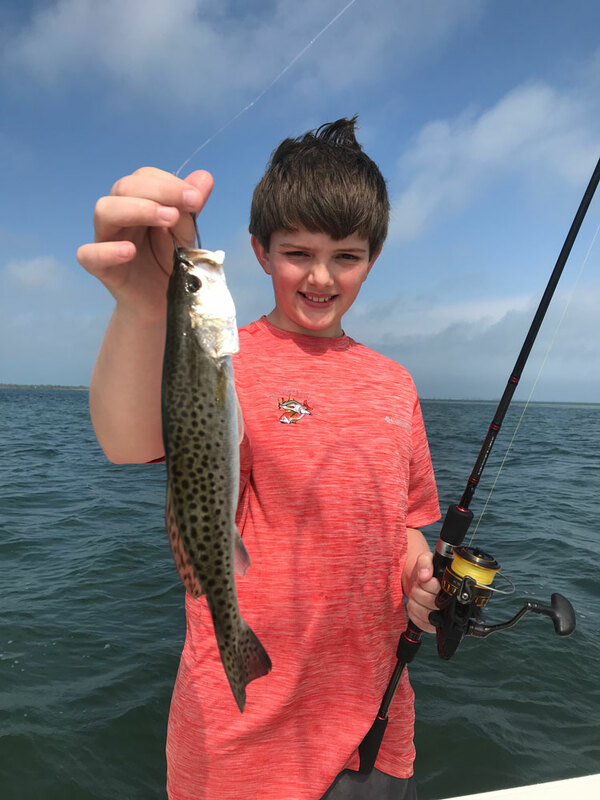 young) proudly poses with one of his numerous catches of the day. Little sister Emma (9 yrs.) is my favorite little lady angler. 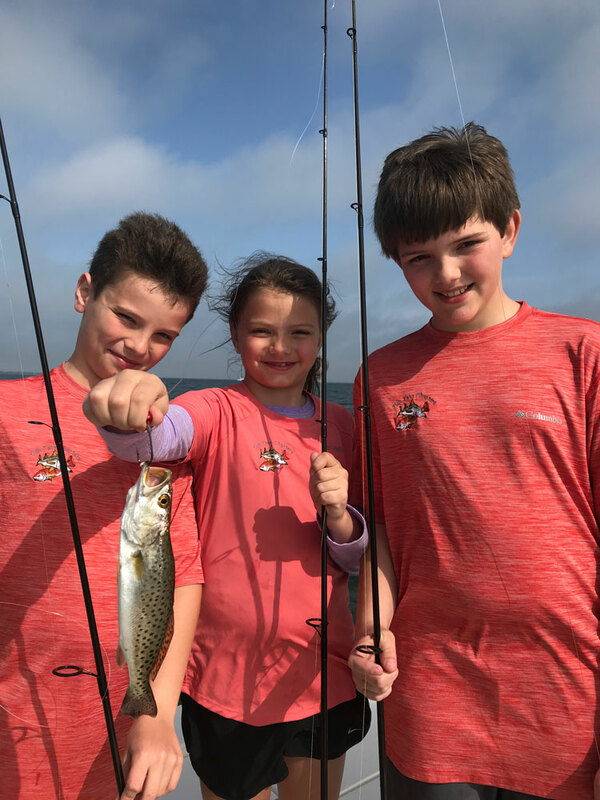 She is pictured with her brothers while holding her Seatrout. These children get better every year and present a big challenge for me to satisfy their fishing demands. Looking forward to next years challenge with the Peterson Family of Minnesota. Thanks guys! Another favorite client is the Keils’ from Toronto, Canada area. 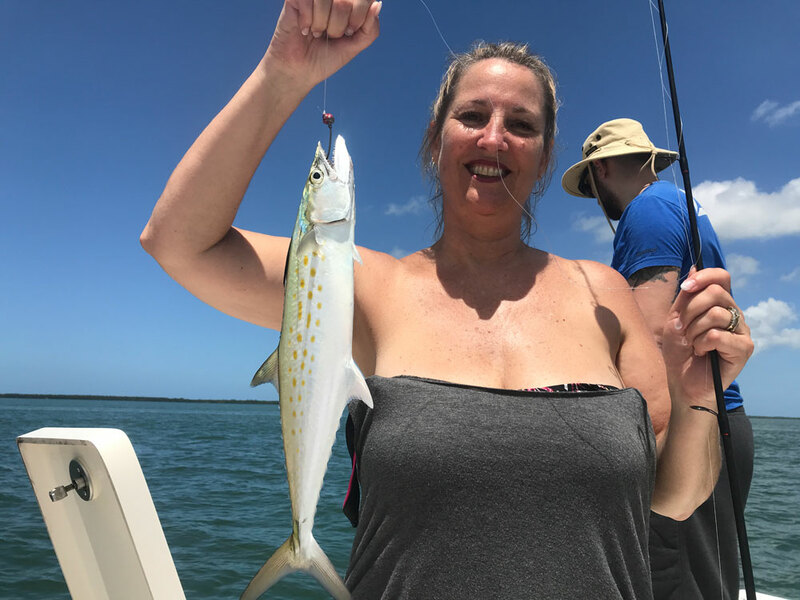 Pictured here is Diane with a very nice Spanish Mackerel. Not only is Diane an excellent fisher-lady, but very pretty and reminds me of my eldest daughter, Stacie. 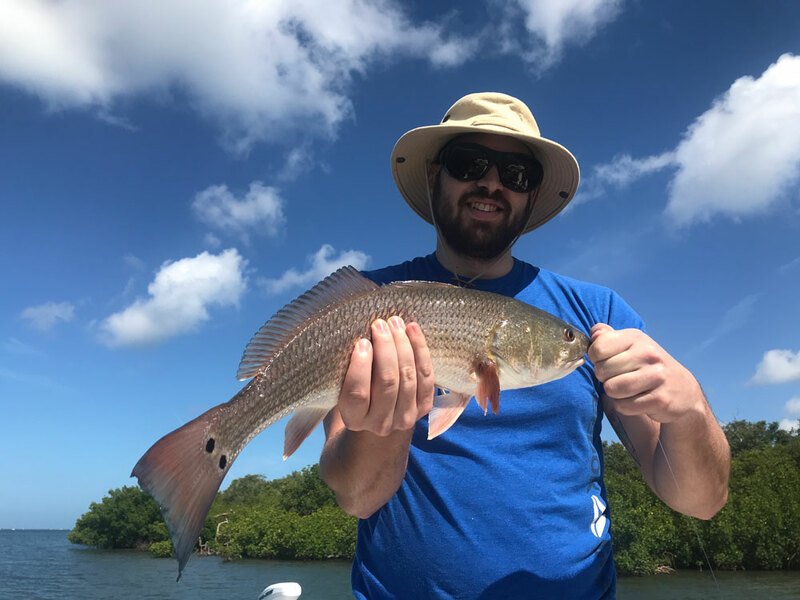 Son Tripp and his father Cal each caught a nice Redfish and showed exceptional angling skills while fighting and landing the fish. Those fish made their and my day. I always look forward to fishing with this very nice family. Thanks for the memories friends. Don’t freeze to death this winter! Recently I was introduced to a new neighbor, Mr. Jeff Wheeler. 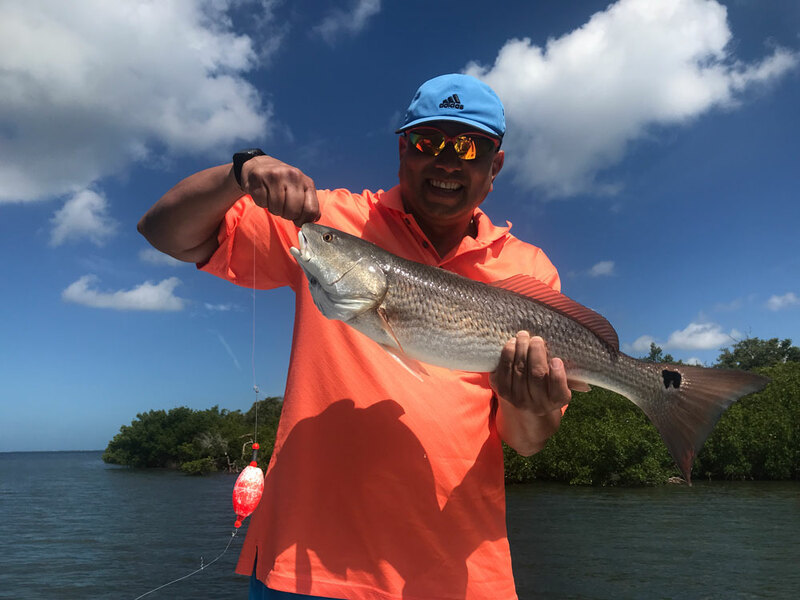 Jeff comes from Herndon, VA. Jeff is an avid boater and fisherman and lives for the opportunity to target Yellow Fin Tuna and Dolphin off the east coast, from Maine to the Keys. 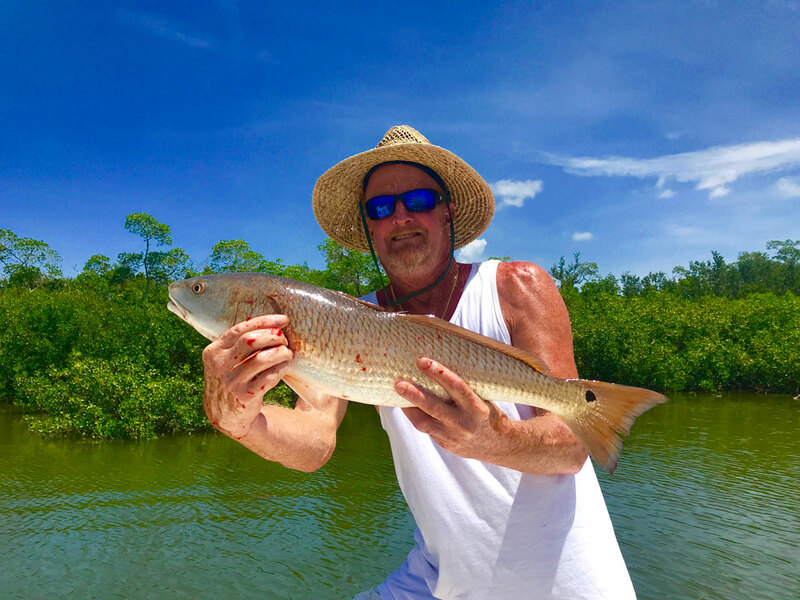 He had not done much inshore fishing until recently, when he hired me to take him and a friend on the flats and into the backcountry for Spanish Mackerel, trout and Redfish. 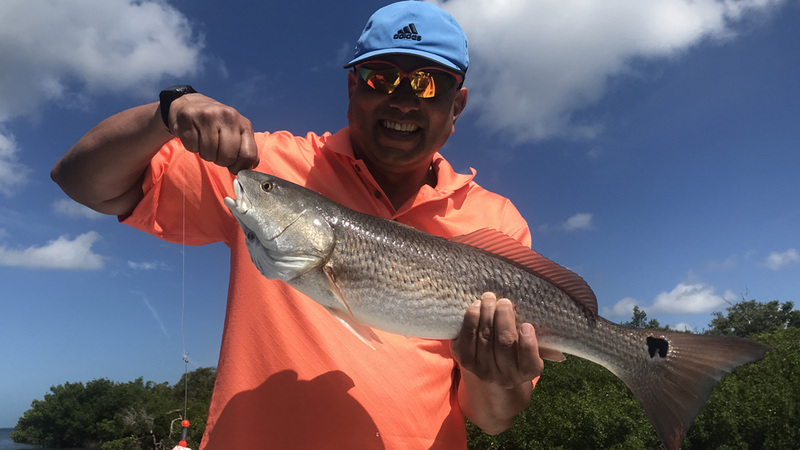 Jeff proved to be an advanced angler when he landed 3 Redfish on light tackle, deep into mangrove islands of Pine Island Sound. He is pictured here with the one he harvested. Good job Jeff. The irony of this friendship/neighbor relationship is that un-be-known to me, was that I had met his wife, Jolly, over 30 years ago in the Cayman Islands. Her father, Benard Passman was a prominent and world renown jewelry artist who specialized in making Black Coral Jewelry. His jewelry was sold in Las Vegas and New York as well. Like me, he had a business located in Georgetown, Grand Cayman, B.W.I. I purchased several items from him at his store on the island and it was just recently recalled Jolly working in the store when I patronized it. High tides morning tides will be coming around the 22nd of the month. Other than seatrout, everything should be biting both inshore and offshore. Take advantage of the moon phase and get out there and catch fish! This is Captain Terry Fisher of Fish Face Charters. I am easily reached at 239-357-6829 or via email at fishfacecharters@yahoo.com. Check out my website at www.fishfacecharters.com as well as my monthly articles in Coastal Angler Magazine. I am also available as ‘Captain for Hire’ (by the hour) on your vessel for navigation, safety instructions, fishing techniques and fishing locations that will insure your every outing is a success.